Healing is possible when you seek restoration of body, heart, mind and spirit. Healing is possible when you are willing to surrender. To everything that no longer makes sense. Healing is possible when you are willing to surrender to your life exactly the way it is. Surrendering in this way is profoundly releasing. It releases the entire struggle, the suffering, the misery, the anger and the frustration. Surrendering to what is, is the most direct route to healing I know. It restores you back to your original blueprint. Our guide in this process of healing is Poseidon, the Greek god of the sea who presides over the healing powers of the waters. 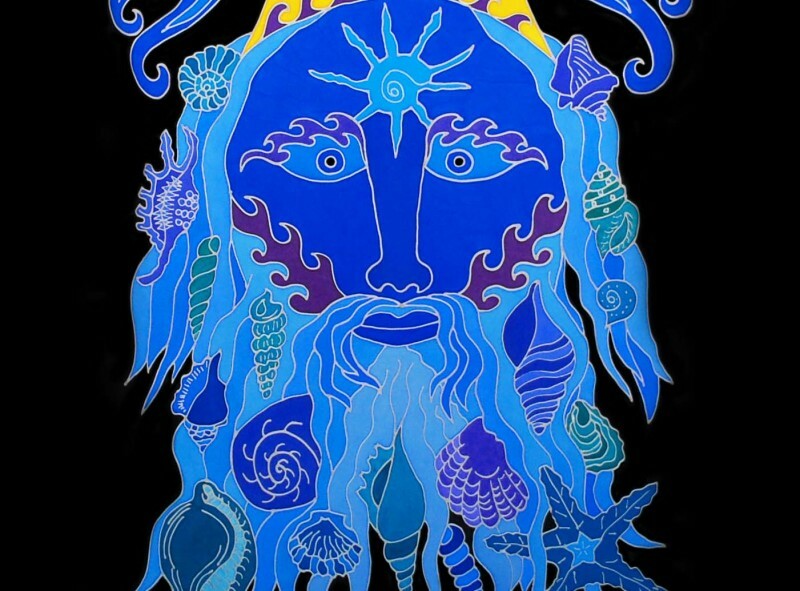 Poseidon is pictured above on Megan’s 30th sacred robe for Healing. The waves above his head represent the powerful healing motion of the waters moving back and forth within your body, heart, mind and spirit. As the waters move back and forth in a figure eight infinity pattern, you can experience clearing and cleaning and washing away whatever is keeping you from total healing. You can return to your SELF and to your equilibrium. You can return to your original blueprint, the perfect template of who you are and who you be!